Q: Would you provide our readers with a brief introduction to Forbidden Technologies and your cloud video product, Blackbird? A: Blackbird is quite simply – the workstation experience in the cloud. 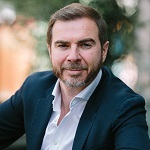 It’s the brainchild of Forbidden Technologies’ Founder, Stephen Streater, who envisioned the vital need many organizations would have to transport video in an ultra-fast, lightweight, high quality way around the world at very low bandwidth. Blackbird is an ideal solution for many sectors such as news, sports and eSports where the rapid editing and distribution of video content to multiple platforms such as social media is now absolutely key. The editing and manipulation functionality that we have built around the core Blackbird codec combine to create a unique cloud-native platform. It allows users to revolutionize the way they work with video, maximising the value of their video assets and increasing monetisation in what is a rapidly evolving broadcast and digital landscape. Forbidden Technologies is the holding company and the developer of Blackbird. Q: You’ve recently announced that TownNews.com has significantly expanded its partnership with Blackbird in the U.S. market; could you tell us something more? A: The U.S. market is a very attractive one to us because of its size and willingness to embrace cutting-edge technologies and new ways of working. The U.S. is not just larger, its considerably richer and more nuanced. Over the past 12 months we’ve strongly focused on growing awareness of Blackbird in North America and have spent a considerable amount of time demonstrating our technology’s unique strengths to many leading media companies. Suffice to say that the response to Blackbird has been fantastic. Jaws drop when people see how Blackbird can dramatically increase their video workflow productivity and speed to market of video content. We had meetings all the way down the West Coast last week and the reactions were no different. This is quite simply a new invention and even the West Coast tech giants have not seen this technology before. solutions. We signed a very exciting contract with them in June this year to integrate Blackbird into the media infrastructure of one their most prestigious new broadcast customers so that live news content can be seamlessly delivered to multiple platforms in towns and cities across 11 states. We’re working on other exciting projects with TownNews.com at the moment which we expect to come to fruition over the coming months. This year we’ve also signed contracts and partnerships with other major U.S. companies including Veritone, the most exciting AI technology provider in the market, Our House Media in Toronto, ESP Gaming out of Las Vegas and are in the midst of some very interesting discussions with a whole host of other top media companies in the region. Q: What makes your Blackbird platform unique? A: Simply put, Blackbird is a ‘wow’ product – this is people’s first response when they see the technology demonstrated. No other technology, that we are aware of, can replicate the precision and responsiveness of a video workstation in the cloud. It has all the benefits of an on-premise solution combined with the multiple advantages of the cloud. 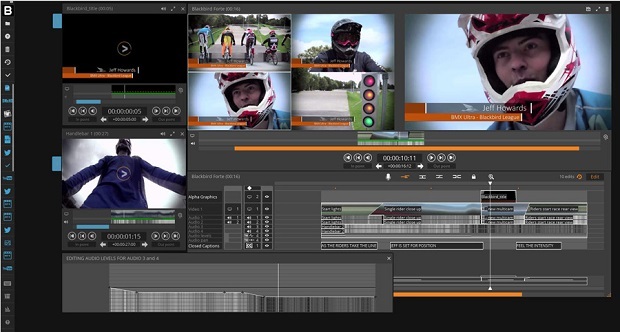 Blackbird enables users to frame-accurately view and edit video 6 seconds after live with zero latency. This is the holy grail few thought possible. Hyper-fast frame-accurate navigation, playback and viewing of video in the cloud without any delays using bandwidth as low as 2Mb per second is now a reality with Blackbird. Blackbird is a pure agnostic web-based platform and cloud-native application that requires no hardware investment. Media teams can access and edit video content via any browser using any device from anywhere in the world for easy, collaborative working – essentially Blackbird delivers complete freedom to media companies managing video content. Nothing comes close to matching Blackbird’s power as a cloud video platform and this is why more and more media companies are adopting it seamlessly into their workflow infrastructures. Q: Why is now the time for a technology solution like Blackbird? A: When we first developed Blackbird we were probably a few years ahead of the curve because cloud technology was not mature in many sectors. Now it is. Accessing, editing and publishing video content in the cloud using Blackbird brings many compelling advantages over the traditional on-premise video management way of working. Such striking benefits include global collaboration between teams, dramatically improving the speed to market of video by editing content from anywhere and publishing it render free to the web. By working in the cloud all the processing power needed to manage video is performed remotely – freeing businesses from the costs of investing in hugely expensive editing hardware and associated upgrade and maintenance expenses. Downloading and transferring huge volumes of video between workstations is also expensive, slow and frustrating. Working in the cloud on just the video content you need dramatically saves time and boosts productivity. Plus the nature of working in the cloud means that media teams can operate simultaneously on the same workflows and projects in real time. So as you can see, the cloud provides many huge benefits to organizations that manage video content and Blackbird is perfectly placed to meet those needs. A: We are absolutely focused over the next 12 months on further raising the international profile of Blackbird so that media companies across all sectors can learn how this amazing technology can dramatically improve their video workflow, increasing productivity and reducing their costs significantly. We’ve signed contracts with numerous organizations over the past 12 months in the news, sports and eSports sectors across North America, Europe and Asia and have many more exciting deals in the pipeline that we’re currently working on with some of the biggest names in the media industry. To support our growth plans we’re looking at expanding our team in key markets as well as signing up more partners who can help us evangelise the remarkable strengths of Blackbird. We’re also close to releasing a number of very exciting new products within the Blackbird product line which will further strengthen its position as the only true video workstation in the cloud.